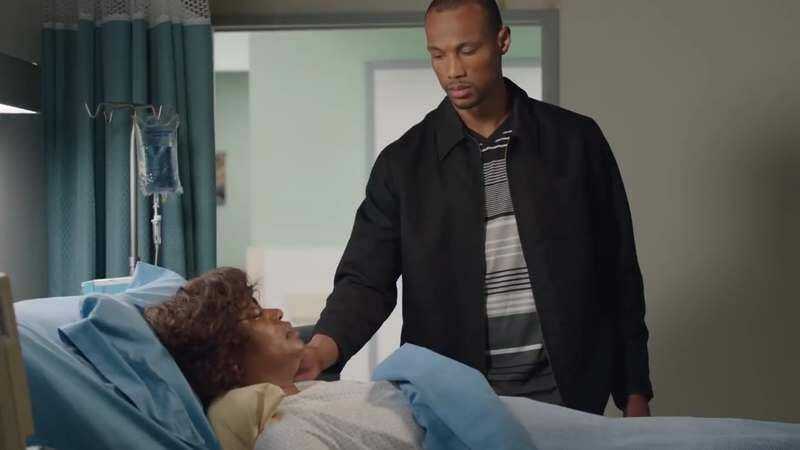 Ragging on Staples’ performance would be unfair, as no one in the movie can act; its most seasoned cast member is the former Dallas Cowboys wide receiver Michael Irvin, who plays a sleazy sports agent who inexplicably hangs around neighborhood basketball courts and gets to deliver the immortal line, “If you declare yourself eligible, you’ll be the No. 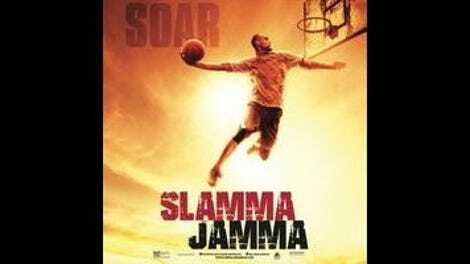 1 player drafted in the draft.” Though marketed to the evangelical sector (which is why it’s opening in hundreds of theaters), Slamma Jamma is a religious film in about the same way that it is a drama—the most tenuous and crude way, in other words. In that grand tradition of incompetent fly-by-night curios that goes back to the early years of the talkie, it is packed with abrupt melodramatic incidents, nonsensical subplots, and blurted dialogue. With the exception of the basketball court scenes, much of it was filmed on the anonymous, pre-dressed indoor sets of Anaheim’s Silver Dream Factory, world-famous for being one of the first Google search results for “standing sets Los Angeles cheap.” In the countless flashback scenes that depict our protagonist’s college ball years and wrongful conviction for a botched robbery attempt, Staples wears a Halloween-store Afro wig, which is delightful, as is the orange mechanic’s coverall that the movie attempts to pass off as a prison jumpsuit. Continuing in that vein, one might also note that the call signs of Los Angeles TV stations don’t start with W; that jail and prison are two different things; that hospital bills are not paid by handing money to a doctor; that the plural of “underclassman” is not “underclassmans”; and that a trial probably wouldn’t end with a judge yelling, “I sentence Michael Diggs to 10 years in the state pen! Next case!” And yet Chey is a Harvard graduate and, according to the California Bar Association, continues to practice law. In Slamma Jamma, he goes out of his way to clear Michael’s lawyer of any incompetence in his being found guilty despite a complete lack of evidence, because, well, sometimes the jury just makes up its mind. One shudders to think of the fate of his real clients.